Cambodia greeted us warmly! Actually hot! 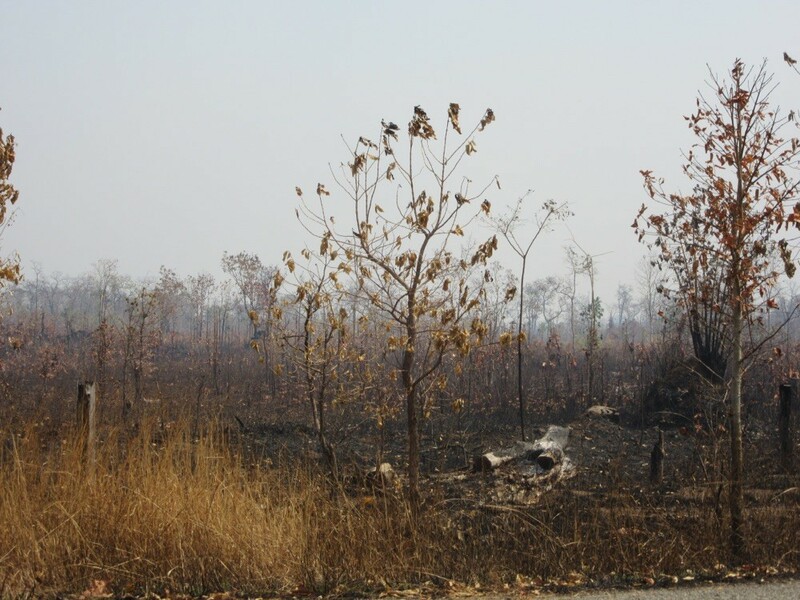 There were bush fires everywhere along the road, set on purpose to get fields for palm oil production. The air was bad and full of smoke. We hope that this is only in remote areas happening. Also the roads are not very good. It is very dusty especially when oncoming cars go fast. 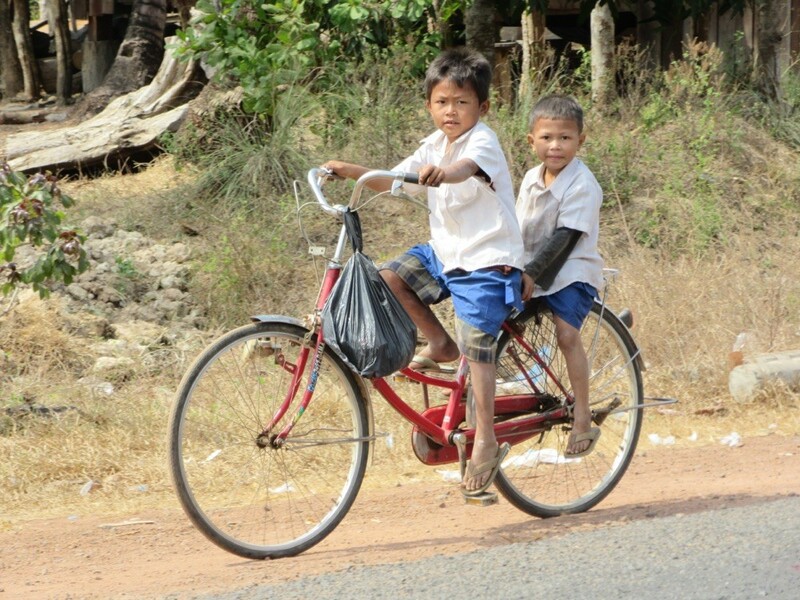 Luckily there aren't many cars in Cambodia so far, mainly scooters. We found a very nice hotel in Stung Trengt which even has a proper bathroom with a bathtub. Luxury for 15 dollars a night. The next day was a bit tricky as we didn't know what to expect. 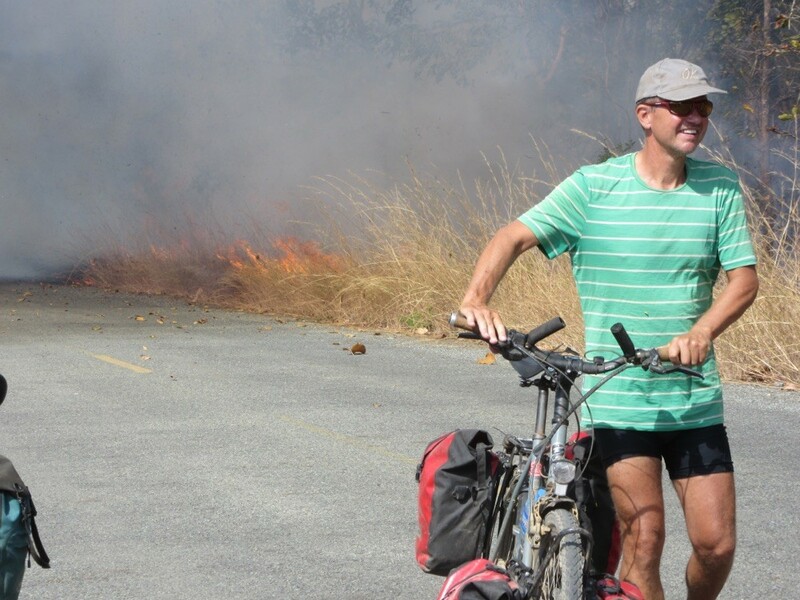 Well, the morning started fine, the road was excellent ( built by the Chinese four years ago) but around midday the smoke started again and later we learned that the Chinese bought all the land and now burn it in order plant palm oil plantations. After 90 kilometers we reached Cchaeb a small village and we were ever so lucky because five months ago a guesthouse opened so we had a place to sleep ( it was not really nice and expensive but never mind). We were the only white people in town and were greeted by everyone. We helped the English teacher with his evening classes and had a lot of fun. The next day we had only 56 kilometers to the provincial capital but it is a boring town. On the way here we met many nice people and saw lots of children on bikes. They are so cute, I could take millions of photos. Getting closer to Siam Reap, the "Angkor Wat capital" we passed another temple complex which was hidden in the bush, Kho Ker. 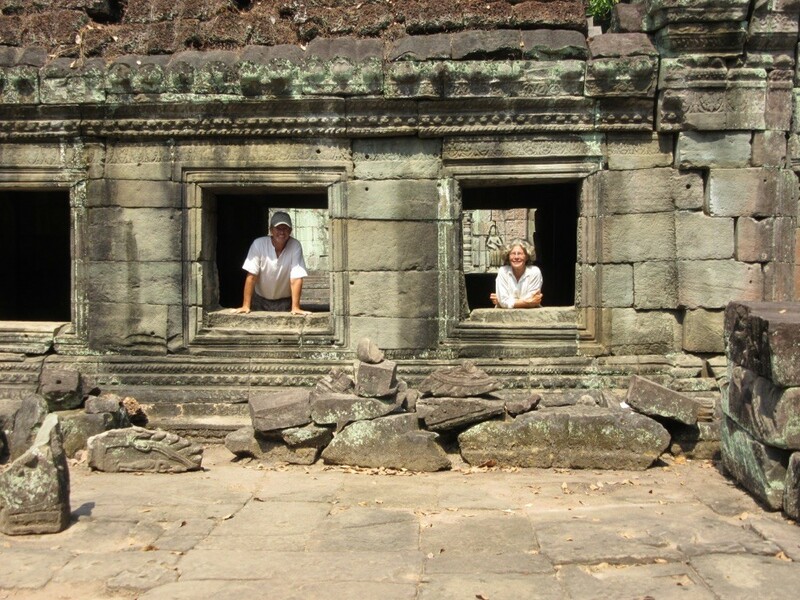 That actually was the pre Angkor kingdom but not many people visit it as it is a bit out of the way. So we enjoyed the ruins without others. On the road again we meet lots of interesting vehicles. 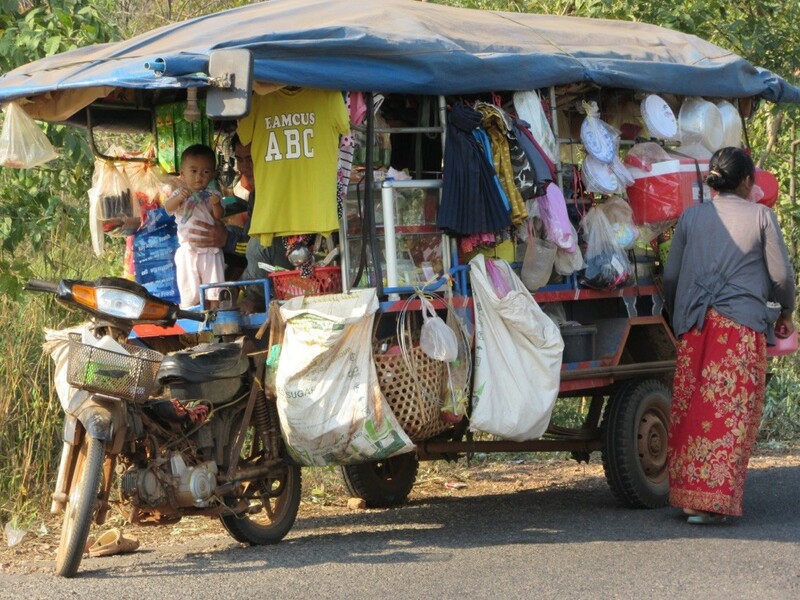 Here you can see a department store on wheels. 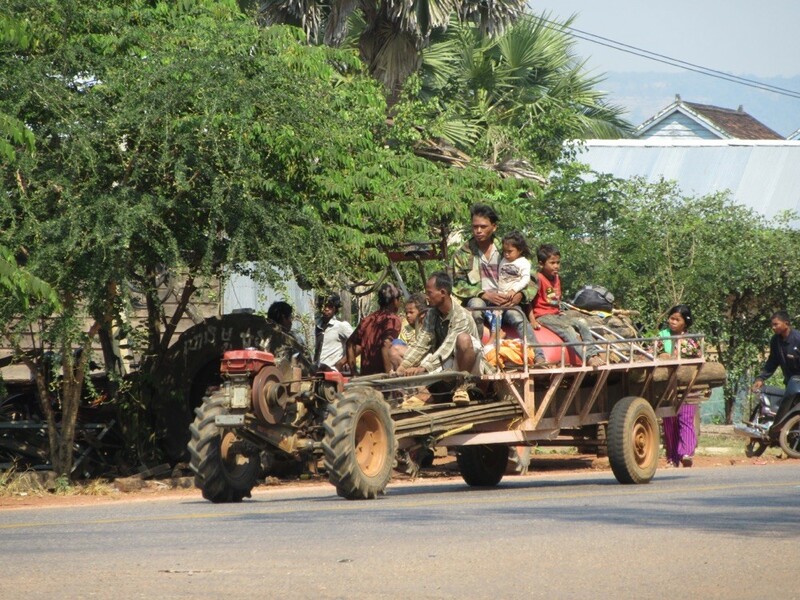 They also have a lot of these agricultural vehicles which they use for everything. 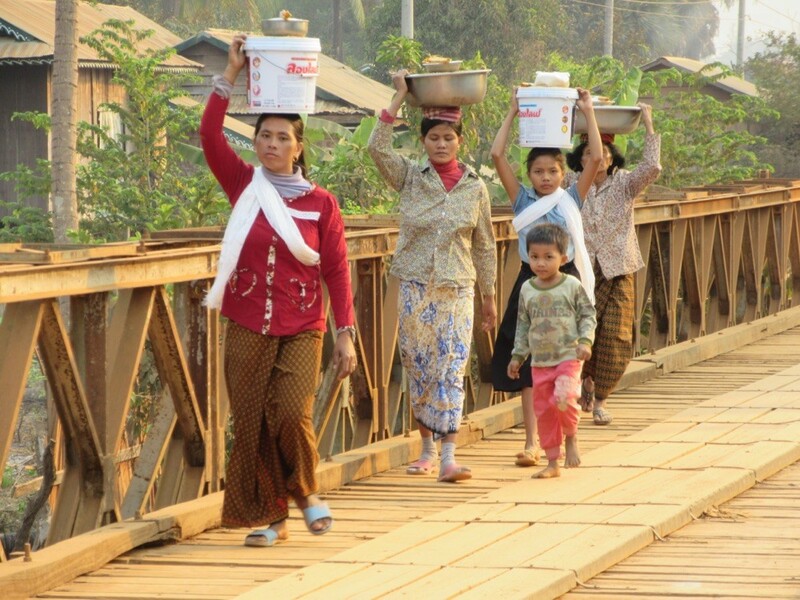 They transport goods on them as well as half their villages. Unfortunately these "cars" are very noisy and pollute the air. On Saturday evening or park pass started so we wanted to watch the sunset from a special temple but it was so crowded that we could not even get up the temple ( for security reasons on 300 people were allowed at a time ). Well that gave us an impression on what to expect the next days. But it is worth it! Every second! 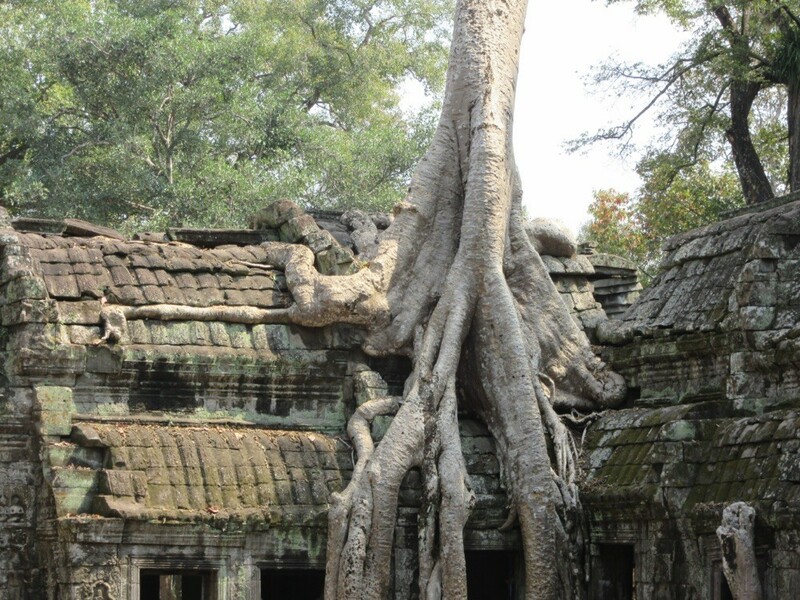 This place is so amazing considering when the Khmer people have built it. 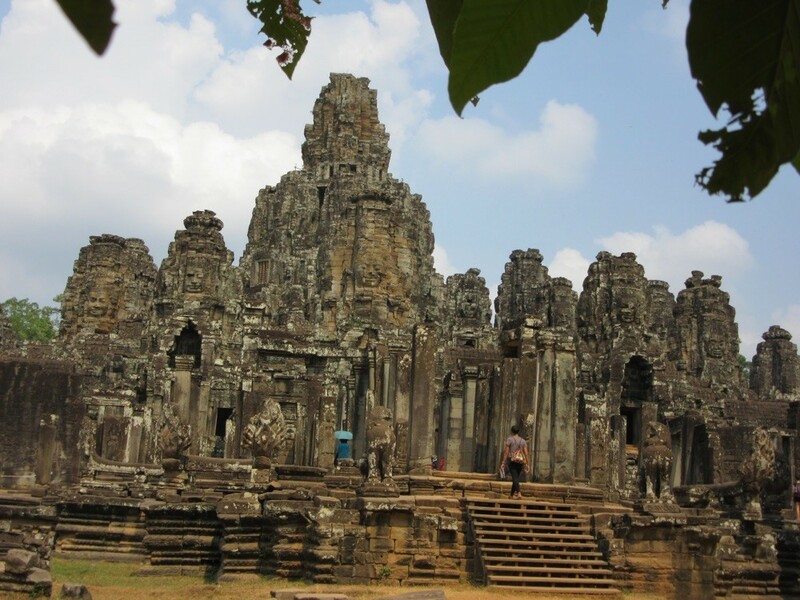 We visited the famous " Thomb Raider" temple and Angkor Thom on our first day. This is the lady where I buy my daily ice coffee to go. 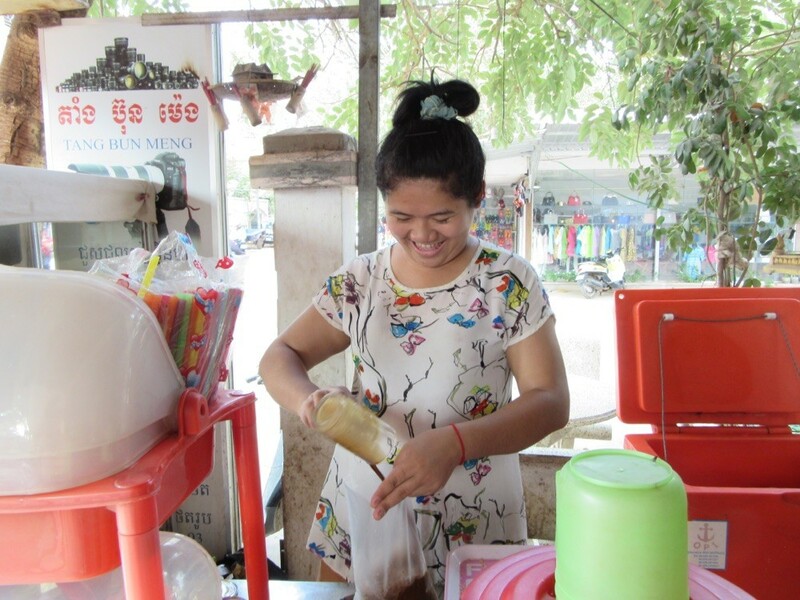 It is just round the corner of our guesthouse and costs 75 cents and has lots of ice in it. Delicious! This morning we went to the local market. It is such an amazing place! 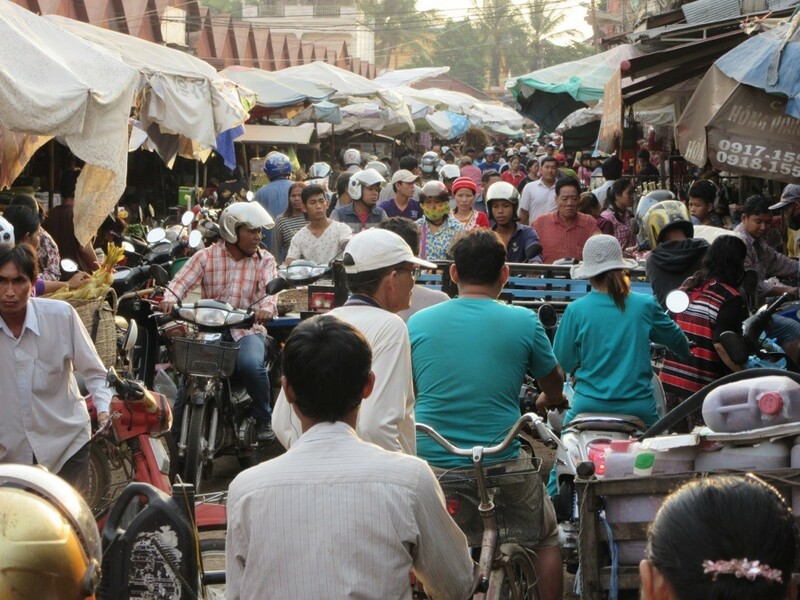 Unbelievably crowded because everybody goes to the market every morning due to the fact that nobody has a fridge at home. Then we visited the Angkor Wat park again. It is convenient to have our own good bikes so we are independent of everything and can go and stop where ever we want. We really liked the park! I could put like hundreds of photos here but I don't want to bore you. Just come and see yourself. 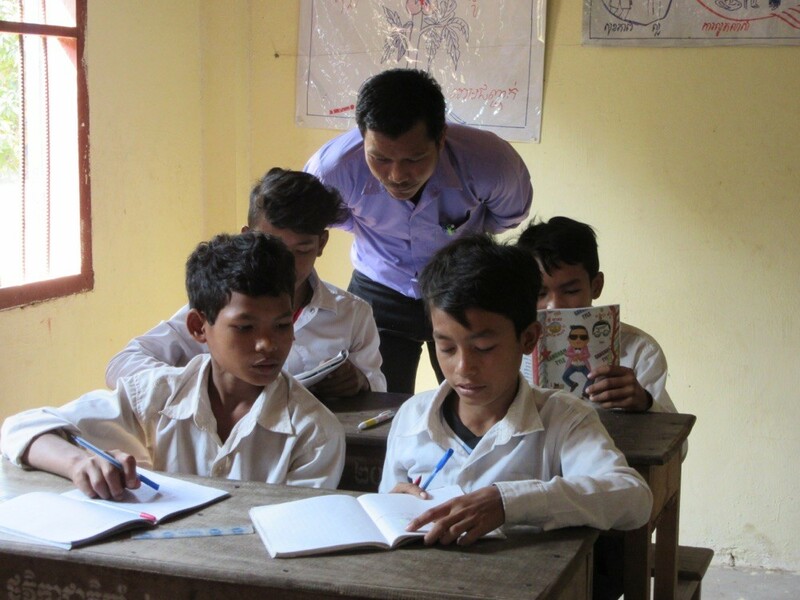 On Wednesday I visited the Angkor Thom Junior Highschool in a little village 40 kilometers away from the town. A German woman founded it years ago and it was a real pleasure being there as everybody seemed to be so happy there, there buildings and area were very clean and the atmosphere homely. I helped an Engkish teacher with his lesson and enjoyed the interested students. From 12 til 2 pm they have lunch break . 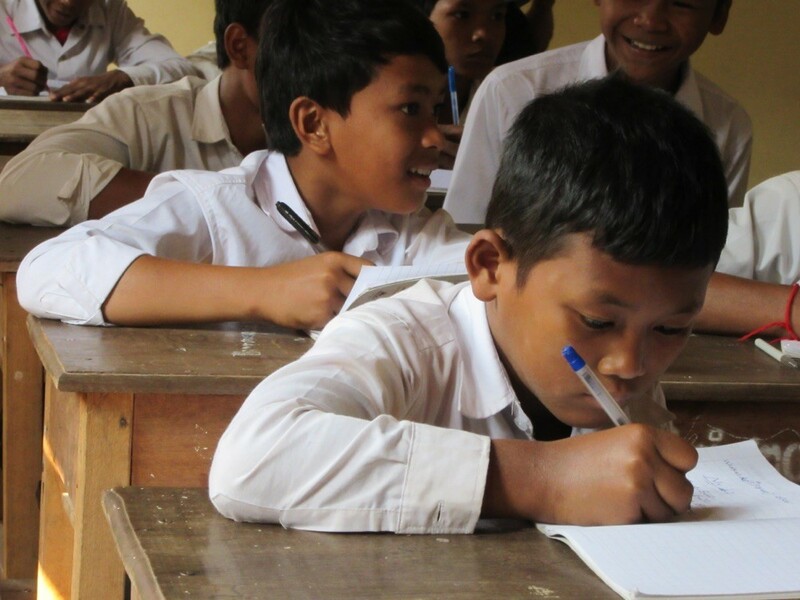 Many students take their bikes and go home but many also stay at school and enjoy a free lunch. They have more lessons from 2 to 5. 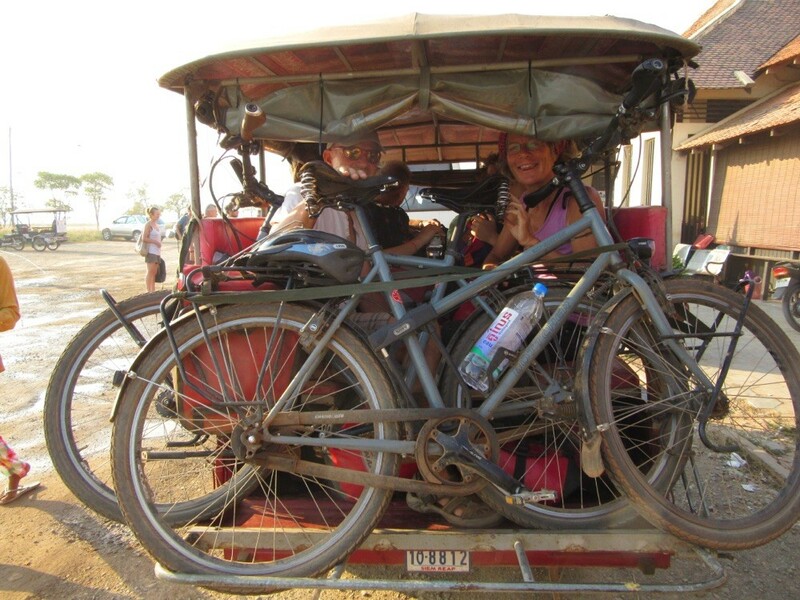 After six days Siam Reap we went on to Battambang by boat but first had to take the tuk tuk to the jetty. 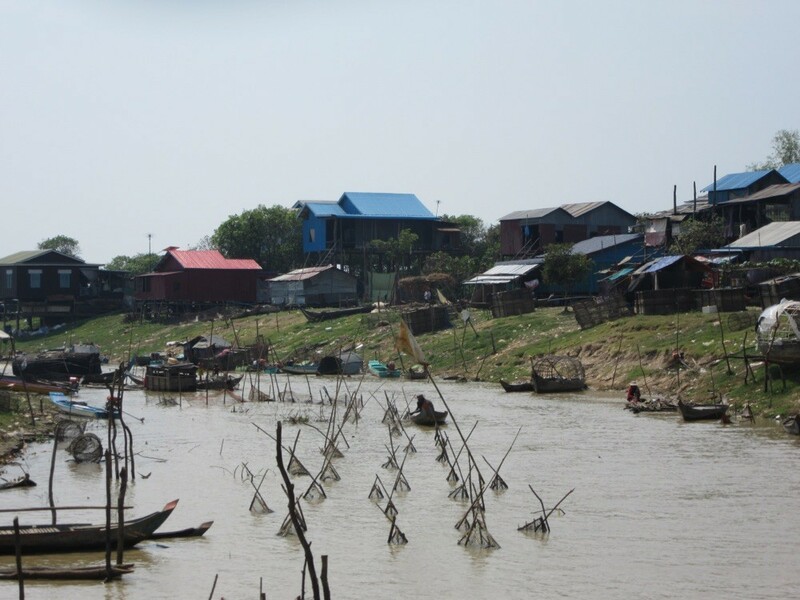 The boat ride turned out to be one of the most fantastic days as we passed through many floating villages along the river ( after we had crossed the lake Tonle Sap). It was fascinating to watch their daily life on the water. 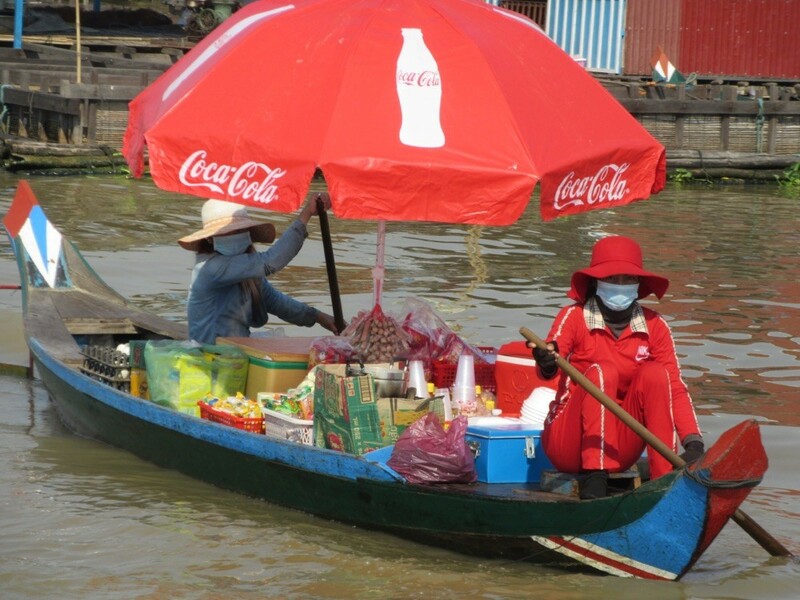 Everything was on boats, school, police, health station, shops, market and of course their houses. 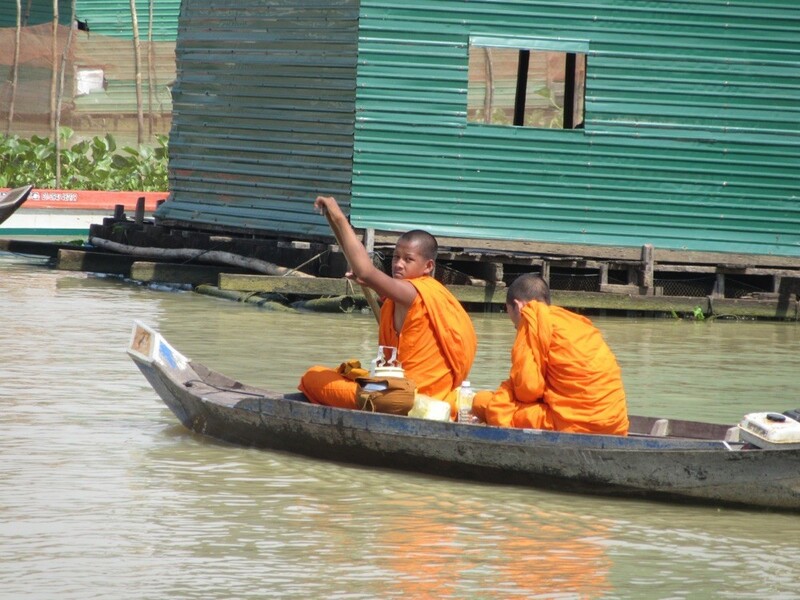 Even the monks had to use a boat! 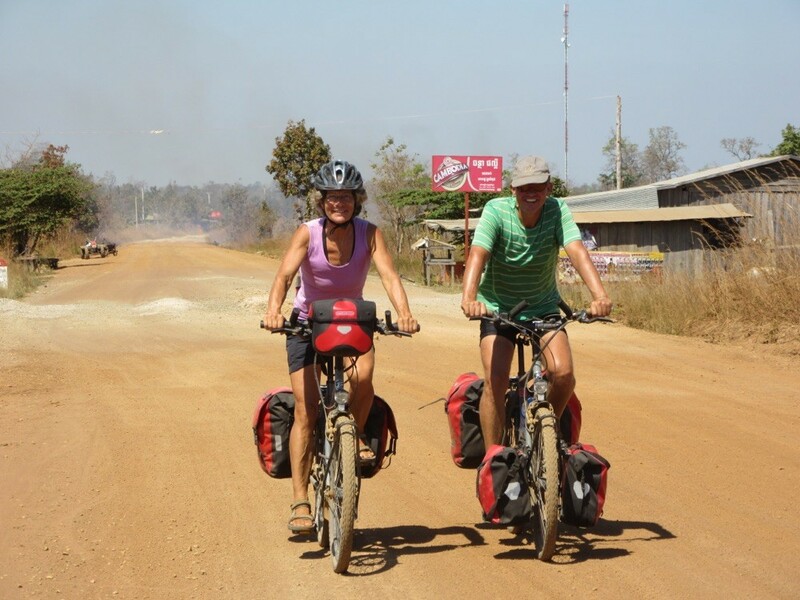 But it took more than 8 hours to get to Battambang and we did not have a proper seat so at the end our ... hurt! 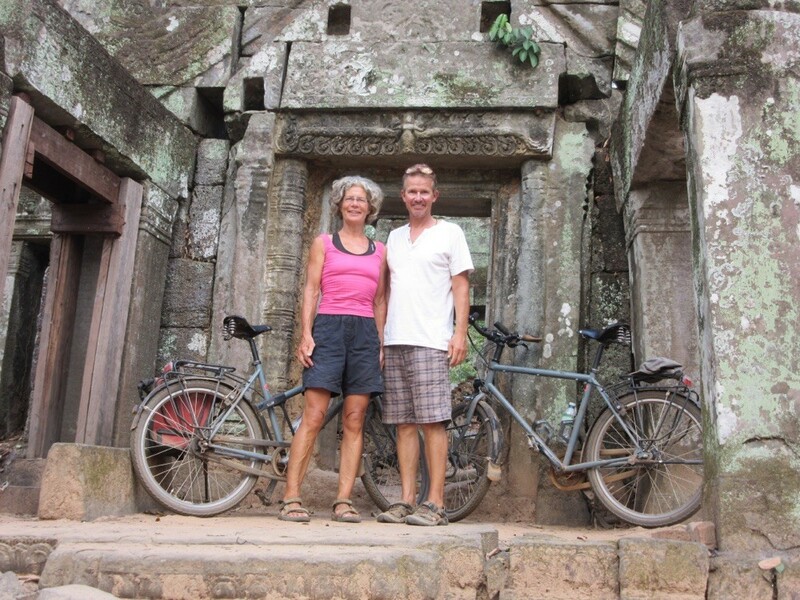 In Battambang we went on two nice day trips , one to another temple in Angkor style. 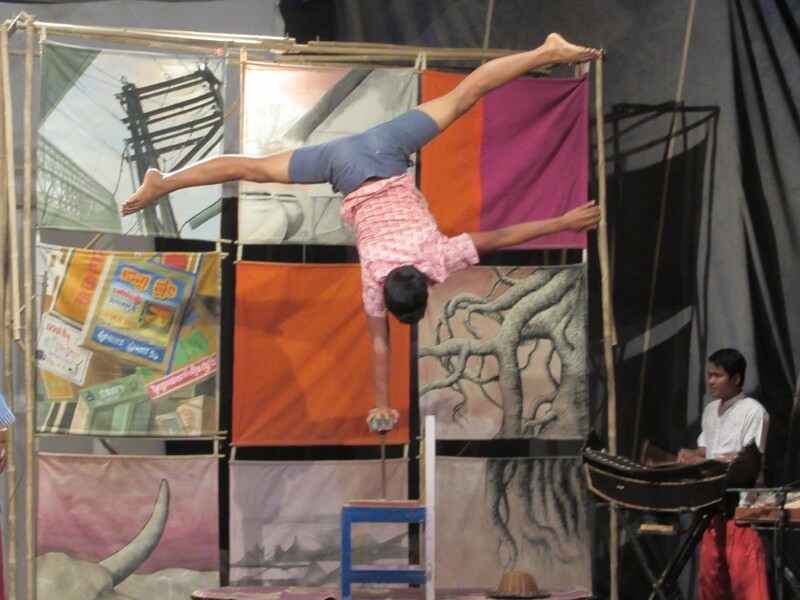 In the evening we visited a great circus show by street kids, it is a famous social project and they also offer art classes. It actually wasn't far away from our hostel but as there are nearly no street lights in the city we had a hard time finding our way back. But we made it! 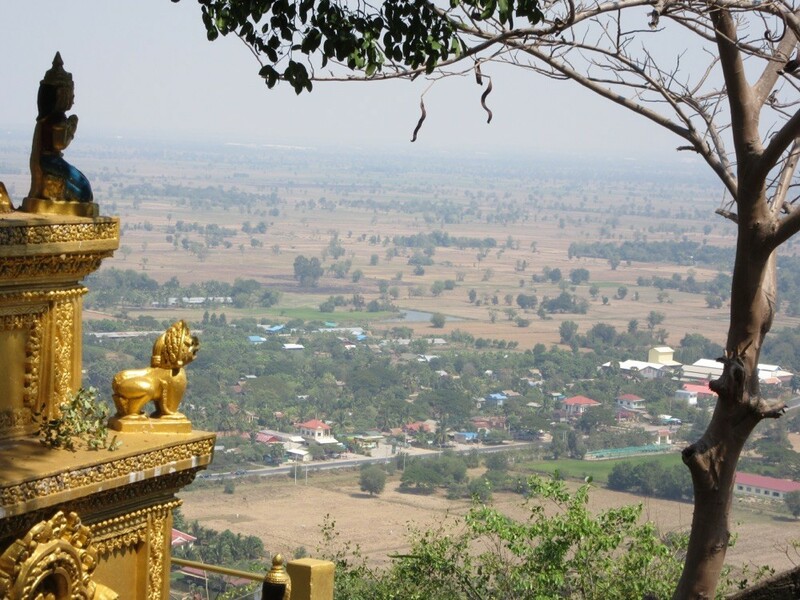 Our next day trip was to a mountain west of Battambang. 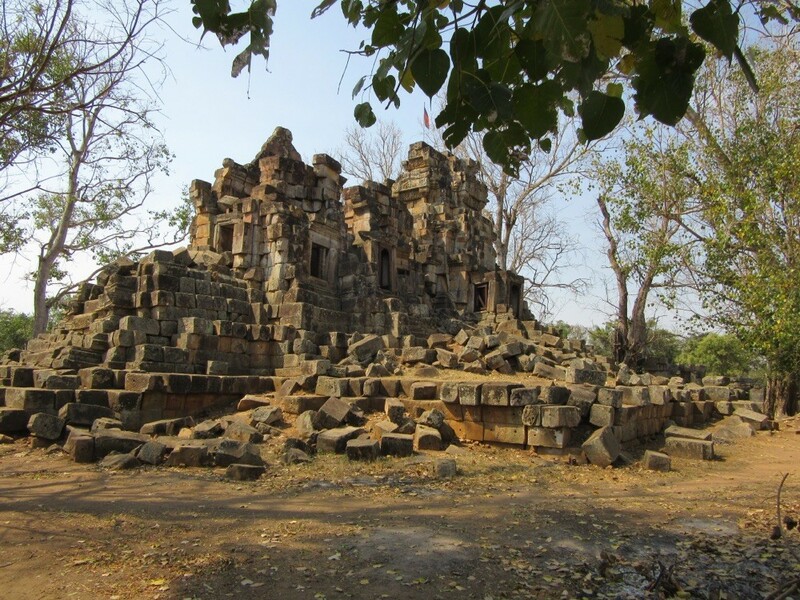 In this area the red Khmer stayed til the end so it has a sad history. 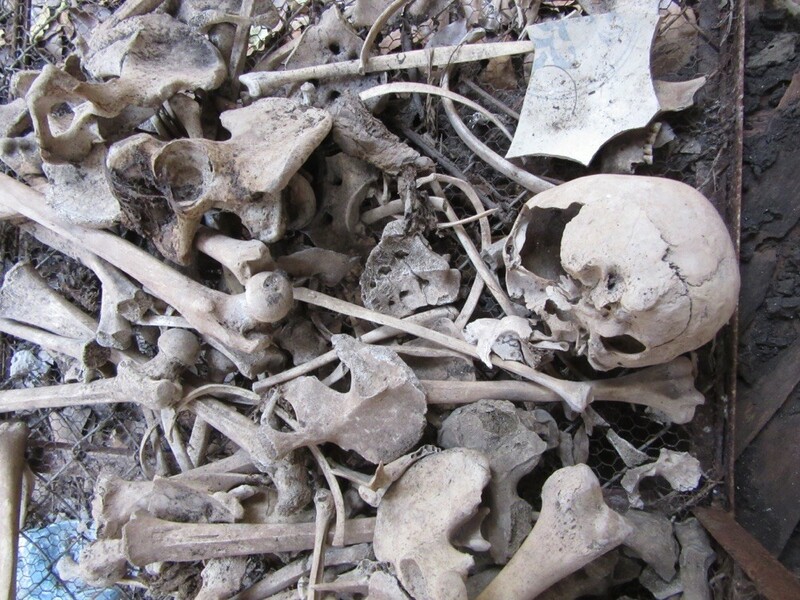 We visited the " killing caves" where the red Khmer killed their victims after interrogation and mistreating ( I forgot the right word). 10000 people were killed here. On the whole one third of the population died during their reign from 1975 to 1979. 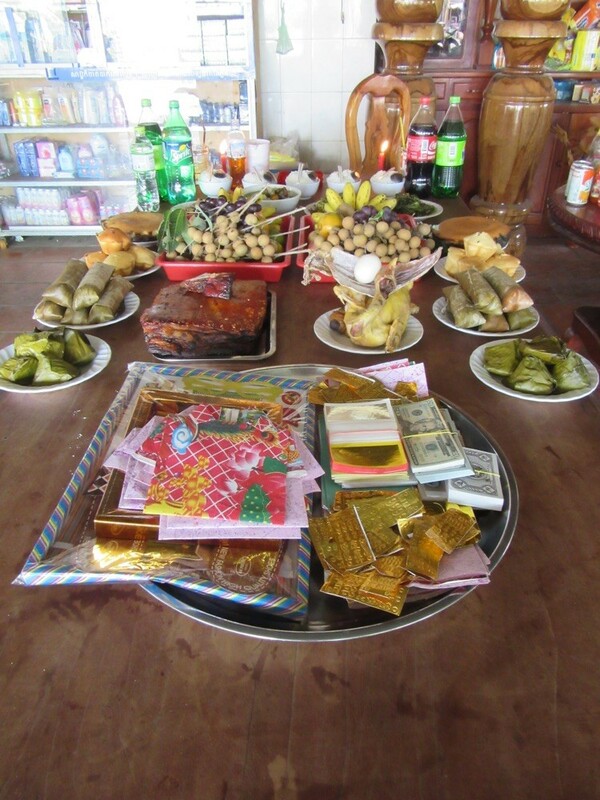 Our last whole day in Cambodia was Chinese New Year's Eve so we saw and heard lots of kids lightening fireworks. The families prepared their tables for the evening celebration and we had difficulties finding an open restaurant in the city where we stayed that night.